American coins include 5 US silver peace dollars, dates include 1921, 1922, 1923 and 1925; 3 Morgan silver dollars, dates include 1889 and 1921; 1 Standing Liberty 1/2 dollar dated 1948 and 1 US 1864 2 cent coin. 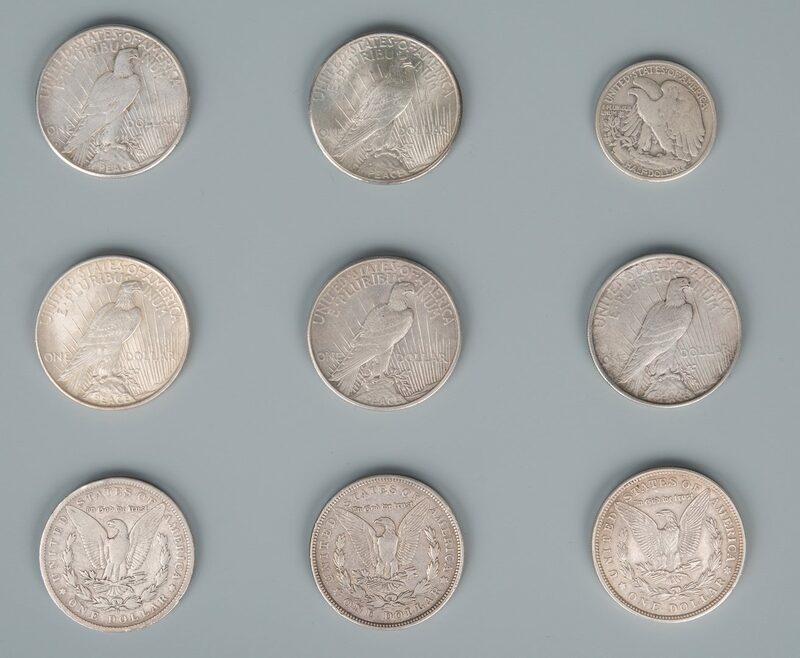 International coins include a 1790 Mexican Reales, an 1812 Dansk, 2 King George III Copper cartwheels dated 1797, an 1844 Bank of Montreal, a Wellington token – Ciudad Rodrigo 1812, a 1757 Louis XV Ecu, plus 2 others (very worn). Provenance: Private Knoxville, TN collection. 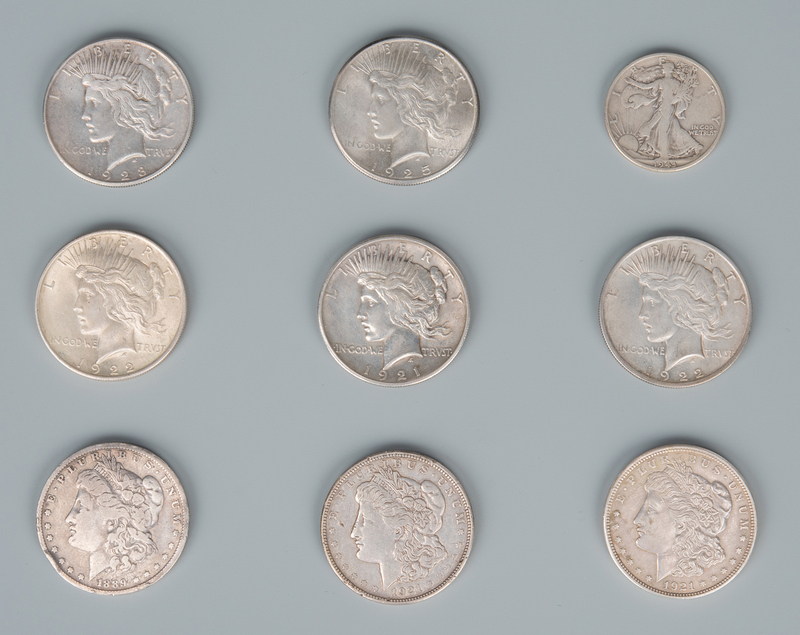 CONDITION: All coins circulated condition, ungraded. 2 international coins worn beyond recognition.